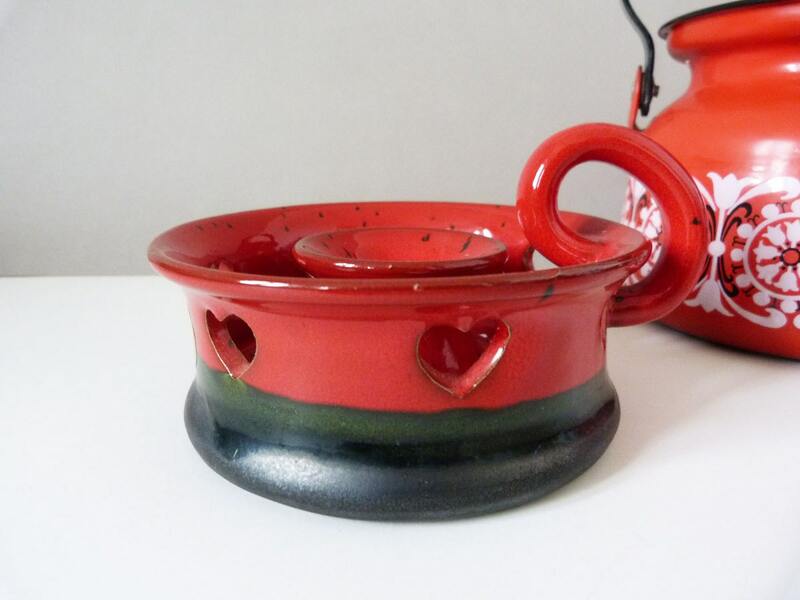 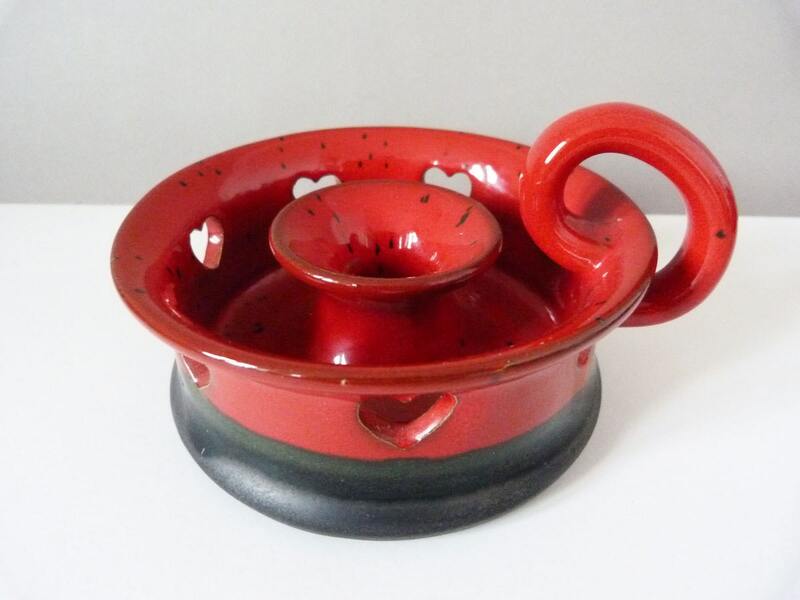 Beautiful ceramic candle holder handmade by Ole Christensen of Denmark, this chunky candle holder has a dark satin base, moving into a red thick glossy glaze, with black speckles. 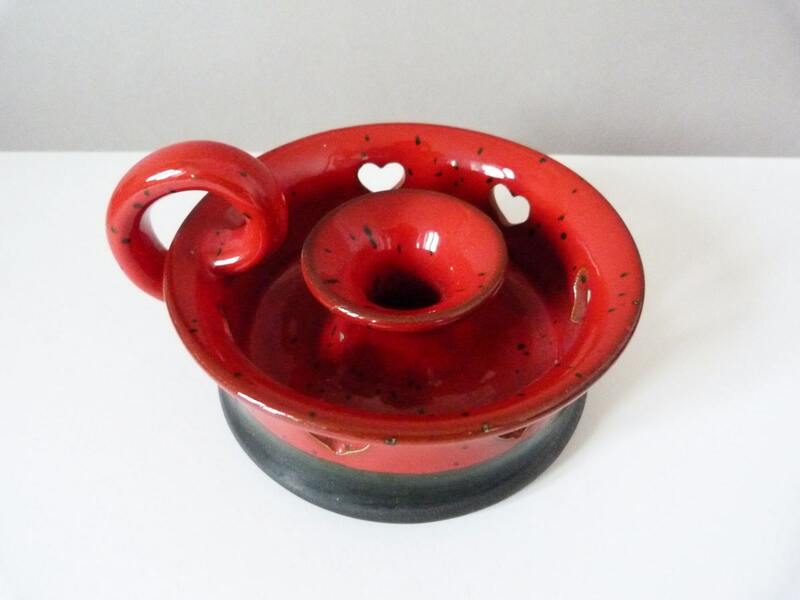 Around the side, the candle holder has cut out hearts, finished with a solid handle. 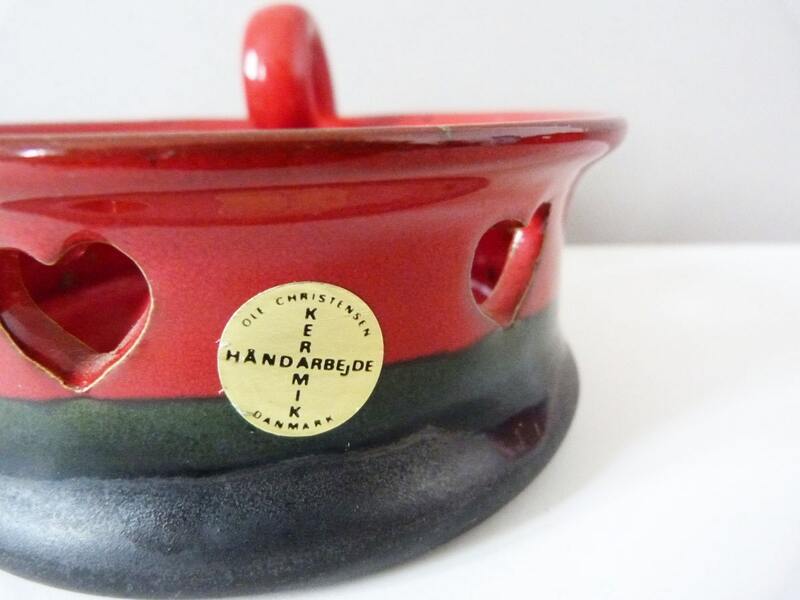 Has its original Ole Christensen label. 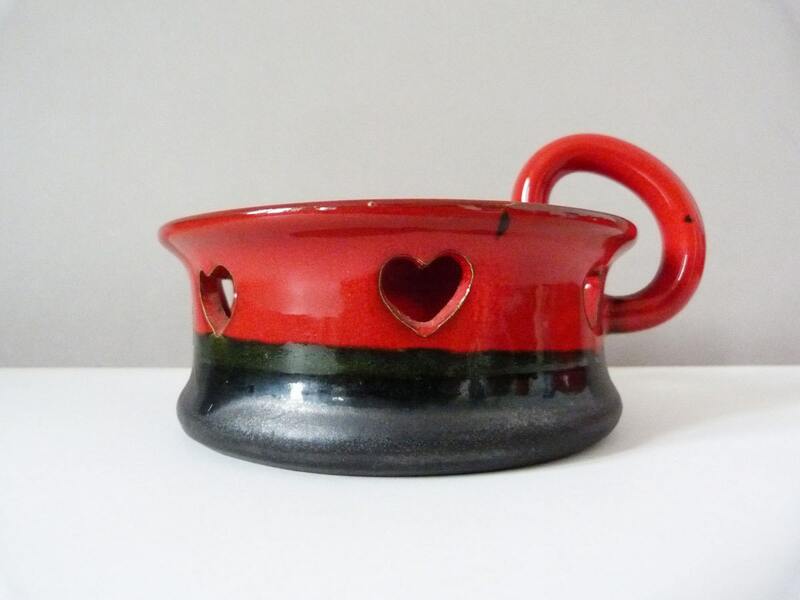 And is in perfect condition.